Wal Mart is the undisputed king of retail sales in the US. The right balance of product selection and price is a primary reason. You can take advantage of their success while offering your customers products big discounts off of Wal Mart retail and still generate good profits at your store. 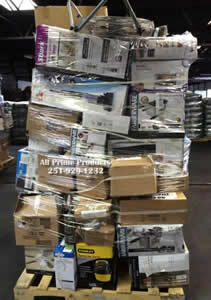 Wal Mart general merchandise truckloads are one of the best truckloads on the market. Lawn and garden/Outdoor living: Mowers, edgers, trimmers, blowers, grills, smokers, fryers, and more. And more departments including cameras, health and beauty, toys, pets, luggage seasonal, and more. 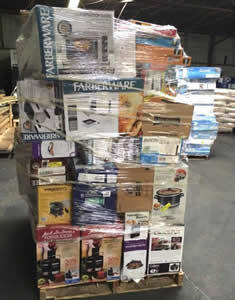 Prices vary considerably on Wal Mart Truckloads based on Grade and Level of Processing. 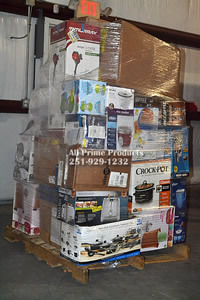 All Prime Products offers Premium Unprocessed Wal Mart Truckloads full of premium Wal Mart liquidations general merchandise pallets. Unprocessed Wal Mart Truckloads can contain items from popular categories like housewares, tools, electronics, sporting goods, and more. Liquidation Wal Mart Truckloads are priced for pennies on the dollar. There is a big difference between Premium/Unsorted Wal Mart Truckloads and standard/processed Wal Mart Truckloads.